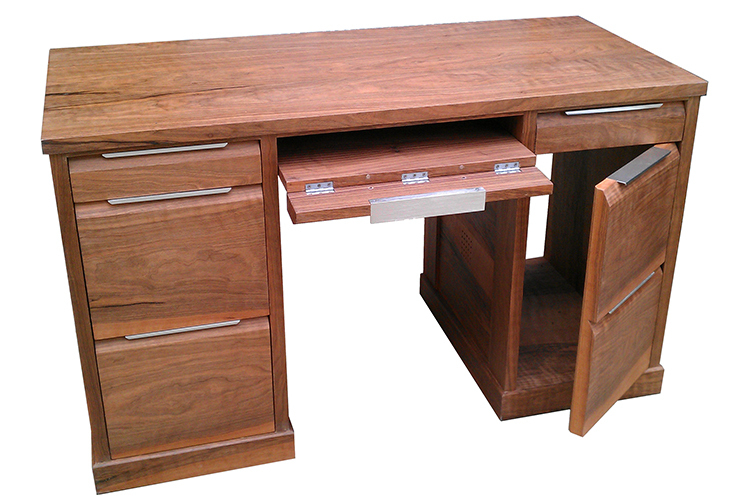 This desk was made from European walnut. It was designed to house a large computer, which was hidden behind false drawer fronts in the right hand column. The left hand column has filing cabinet drawers.